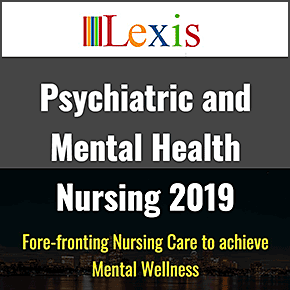 Psychiatric and Mental Health Nursing 2019 will prove to be a noteworthy event, with this we cherish mental health nursing by embracing the theme, “Fore-fronting nursing care to achieve mental wellness” , and would step forward to provide an opportunity to step in and join our family, as we bring and encourage to join professionals from the following areas of Mental Health, Psychology, Nursing, Physiology, Neurology, Healthcare, Education, Business to our indelible two days event from Sep 18-19, 2019 at most beautiful and attractive city of Vancouver, Canada. Not only has this event had a tremendous potential to excel in mental health but also it a well-suited platform for the mental health professionals to exhibit their works globally. Apart from speaker opportunity, we also provide sponsorships, exhibitors, collaboration and media partners’ opportunity, which come with many benefits. We would also have award and ceremony sessions, where we would felicitate and give away awards to the nominated individual as per the criterions, not only this, but we would also provide CME and CPD credits to the attendees for our summit. Winding up altogether, you will be sure to have a wonderful experience at our impeccable 2 days event. We look forward towards your presence; feel free to contact us for any queries.